On May 25th, 2018 the EU General Data Protection Regulation (GDPR) entered into force in the European Union. To answer any GDPR-related inquiries, we have created this page where you can find all information about Eirteic data protection. It is never our intention to send emails to anyone unless they are relevant to them. In accordance with applicable data protection legislation, we have maintained a database which we have used occasionally to promote new services, offers or insights to business contacts that we are confident will be interested in them. All of these communications include ‘opt-out’ option which is automatic and immediate. If you have any questions regarding Eirteic’s Data Protection Policy, please contact DPO@eirteic.com. we do not disclose your data in cases other than those specified in our Data Protection Policy. All email originated from an Eirteic email account and any files transmitted with it are confidential and intended solely for the use of the individual(s) or entity to whom they are addressed. 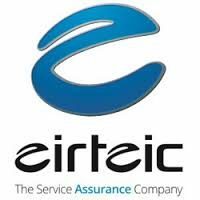 If you have received an email in error please notify the Eirteic Security Administrator (mis@eirteic.com) with a copy of the mail. While all e-mail messages are swept for the presence of computer viruses, Eirteic does not, except as required by law, represent, warrant and/or guarantee that the integrity of this communication has been maintained nor that the communication is free of errors, viruses, interception or interference. Eirteic is fully compliant with the GDPR. Eirteic collects, stores, and manages personal information in accordance with the provisions of the GDPR. Eirteic recognises that it is a Data Controller. We collected a very limited amount of personal data of our customers purely for business purposes. Eirteic has created its business processes and policies to fully comply with the GDPR. Eirteic fully respects the rights of the Data Subject as outlined in Articles 12 – 23 of the GDPR. We do not share personal information with third-parties and we do not engage in mass emailing. If you have any questions regarding Eirteic’s GDPR policies, please contact DPO@eirteic.com.